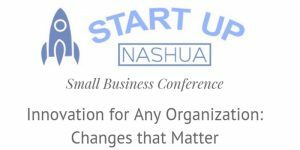 Startup Nashua’s Small Business Conference! 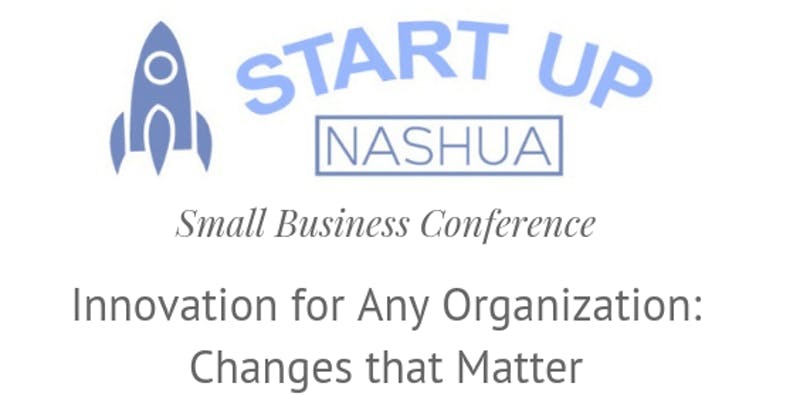 In celebration of Small Business Week, Nashua Innovation Center, the Greater Nashua Chamber of Commerce, the Center for Women & Enterprise and Rivier University are holding a full day conference for startups and established small businesses in the Greater Nashua area. In a world that changes constantly economically, politically, technologically and socially, businesses of all types must embrace a culture of change and innovation to stay relevant and connect with their customers. Founders and business owners will hear from industry professionals and experienced entrepreneurs about the forces at play when innovating within your business, gain hands on practical knowledge and tools through workshops, and have time to network with business advisers and other business owners.